As summer winds down, you will find that outdoor furniture is offered at reduced prices at furniture stores around the country. However, do you know what to look for in quality outdoor furniture? Today’s guest post will help you choose and maintain the best quality outdoor furniture. If you love spending time outdoors on the patio or porch, you need good outdoor furniture. You can go buy cheap furniture that you have to replace regularly, or you can invest in some good outdoor furniture that will last for years. Just because it lasts doesn’t necessarily mean it’s expensive, of course—you can find some great outdoor furniture for very reasonable prices if you do some comparison shopping and know where to look. If you’re in the market for new outdoor furniture, here are some tips to help you find the best value for the best price so you can create the outdoor oasis of your dreams. 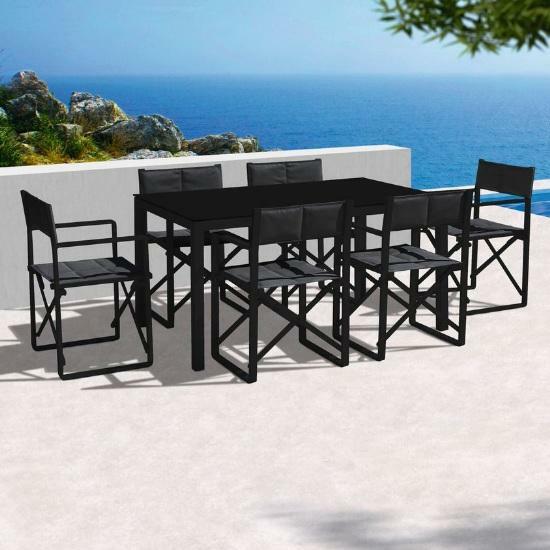 Outdoor furniture is typically divided into two different types: wooden garden furniture and metal furniture. Each has its pros and cons. The first thing to check when looking at wooden outdoor furniture is the wood it’s made from. Not all wood can stand up to weather, especially heavy rains, harsh winters, and gusting winds. Wicker, for example, will obviously not last long. Oak and pine, surprisingly, also don’t stand up to the weather that well. Instead, you want to look for cedar, teak, and eucalyptus. 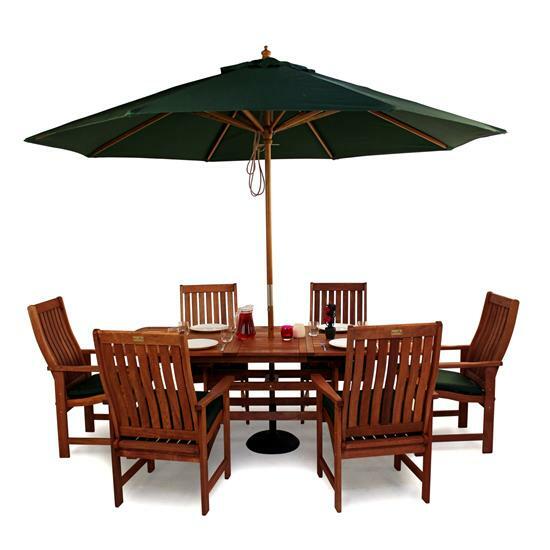 In addition to handling the weather very well, teak and cedar also stand up to insect damage. Teak may be the best way to go if you can afford it, because teak furniture can actually last for a hundred years and still be incredibly durable. If your wooden furniture has been glued together, the weather and age will slowly erode the glue over time, and eventually it may lose cohesion. To avoid the risk of your furniture falling apart, make sure it’s been constructed with pegs, dowels, or screws. The best wooden furniture combines both methods—the pieces are glued together and then reinforced with screws or pegs. If you’re not going to use your patio furniture for long periods of time (such as during the winter), store it in your garage, basement, or shed. You’ll want to wash it off periodically when it’s in use. You may also want to give your wooden furniture a new coat of paint or stain every few years, although neither teak nor cedar furniture actually needs a finish. Just like wooden furniture, there are certain types of metal you want to look for. Iron (wrought iron or cast iron) or aluminum are the best metals to go with. If you pick either type of iron, you want to make sure it has been coasted with a rust-resistant powder. Otherwise, you’ll find your beautiful iron furniture will rust very quickly. Aluminum doesn’t require any special coating because it is naturally resistant to rust. Again, don’t trust glue or staples. Make sure your metal furniture is constructed with brass or stainless-steel screws. No matter what type of outdoor furniture you get, it’s best to bring it indoors during the cold months. Even though it’s rust-resistant, even iron and aluminum furniture will wear down if exposed to the elements for long enough. This is especially true of the cushions on the furniture. Be sure to wash off the metal frames every two or three months. For odd spots on iron furniture, you can use rust-resistant primer to give it a touch up. Aluminum outdoor furniture can benefit from a coat of car wax every now and then to keep the metal shiny. Take care when selecting your furniture’s cushions. While the cushions that come with your wooden or metal furniture (if your purchase includes cushions) may be fine, you should make sure they’re weather-resistant and have a high UV rating so they can withstand long periods of direct sunlight. Also, check to see if they have vents in them for ventilation. That will help prevent mildew and mold from growing inside them. One particularly good option is cushions made from an acrylic fabric that is mildew-resistant, such as those made by Sunbrella. Don’t forget to wash your furniture’s seat cushions, especially before and after storing them. Use a mixture of about one part bleach and ten parts water plus a little bit of dish detergent to really get the dirt and grime off of them. Selecting the right outdoor furniture for you is largely a matter of taste. Both wooden and metal furniture will last for years if you select furniture that is well-constructed and take care of it. Some people think that wooden furniture looks better, while others prefer the look of wrought iron. One or the other may look better on your patio, too, depending on what other patio items you have and the style of your home. And, of course, comfort is key, so choose something you will want to sit in and enjoy. Rebecca is an author and blogger from London who often writes about outdoor entertainment and how garden furniture sets, garden benches, patio furniture & sun loungers can create the perfect environment. Choosing the best quality outdoor furniture is really important that would last longer. The tips you provided are really amazing.